What a dream! This exclusive design has everything we want in a tunic -- even long enough to be worn as a dress on shorter figures! 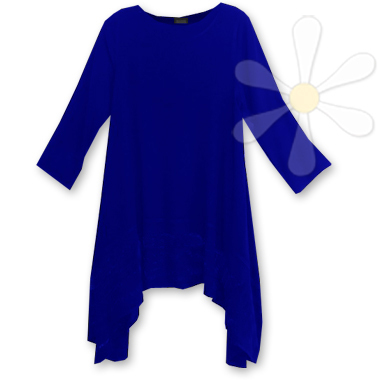 It has long sleeves, a high rounded neckline and long, luxurious sides at the bottom. There's a wide tab of fabric along the hem -- check our Stash collection for this style in contrasting fabric -- causing the most beautiful drapes! MORE VIEWS OF HASSAH BAZAAR TUNIC NEW!